In every moment I spent time with my friends, in every moment I was happy, and without thoughts, and sad, and in love, in every moment I felt I could break the world, in every moment I felt I was my best self, your music was there, so thank you for having been part of my teenage days, thank you for your talented soul, thank you Tim. Hoppas varje varje dag att "Aviciis musik kommer att ges ut" ska stå i pressen... Hoppas att Klas och Ankie kommer att ge ut hans musik! Det finns ingen och kommer inte att finnas någon som Tim! Fina människa, varför? Du är så fruktansvärt saknad! he die on hitler birthday coincidence? I grew up listening to him. I know so many of his songs by heart. I wish his family a good life, dealing with a person passing especially in this way is hard. I know this because my dad died the same way when I was 11. Avicii, your music has helped me in the past whenever I've felt depressed and sad. They continue to help me to this day. You will never be forgotten. Thank you for your music, your energy, and your inspiring and uplifting music. Even though I've heard many good things about you, I only started listening to you not long ago. Your music makes me focus all the time and even helps me discover something new for later in life. Although you are not here in this world to speak out, your music will be the support of your voice. You were a great person you taught me to live a life I'll remember. And you set an example. Hope I'll stand strong without you. Avichii or Tim, you have inspired me in so many ways. Your music has helped me through hard times, and made me feel hopeful. You will be forever remembered as the great legend you are. Not only did you just inspire me but I bet you also inspired so many people out in the world. You are in a better place now. Rest In Peace, my hero. Avicii was there. He was in the car when I was together with the love of my life driving and dreaming of our life. Of getting to the place of where we would be at the happiest. And then Avicii was there on our journeys of our life times. Reminding us to be grateful for everything we had. And Avicii is here now. He is in my memory of some of the best times I had in my life. The times we had wouldnt have been the same without you. I wish you'd stayed with us. I really do! Thank you! Tim, I will remember, you enriched my life and you are immortal through the wonderful music and you will live in our hearts .... Thank you, you are the best. 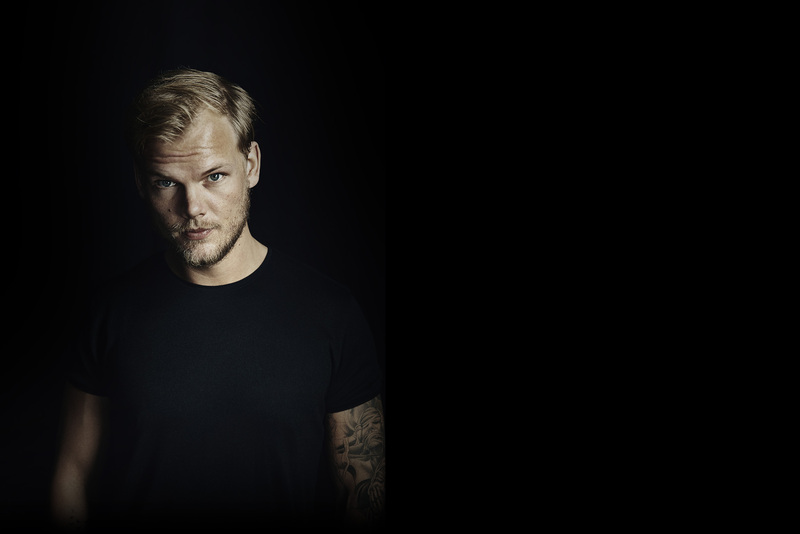 Avicii, your impact has shaped the lives of many. Rest In Peace. Contigo empezo todo. Siempre te llevaré en mi piel y mi corazón. Descansa en paz donde quiera que estes amigo. Hey brother. Even if I dont knew him I sure do miss him. I hope we get to hear the last song's that he made. I am so sorry that he didnt get help he needed so much. He will never be forgotten. Legends Never Die <3 LOVE! Avicii is the reason I started listening and creating electronic music. Big thanks. "Without you" is still that one song that helps me feel free, that makes me remember what i really want from life and what i am really searching in love and to always remember that altough we will always try to find THAT someone...we are strong enough to help ourselves through everything. Thank you for everything and for telling us your story through your songs and help us understand what our 20s are about..and what we really want to choose for the rest of our lifes. I had depression and Avicii's musics helped me to face this problem. Everytime I'm feeling bad I listen to his musics and they help me so much... I wanted from all my heart he was alive... From a simple person of Brazil who really loves Avicii. I’m 61 and just discovered this beautiful music. I’ve introduced to my granddaughter, not yet two years old and she loves it. She asks for Abicci. His music will last. But clues as to his depression are everywhere in the lyrics. Did nobody spot it? RIP Tim. With love. I can never express my love for Avicii and his work in words. All I know is that nothing in this world can make me feel the way his music makes me feel. I can say that his death is one of the saddest thing happened in my life. If my words could reach him I'll just say.. "Hey brother! There's an endless road to rediscover"
I was at summer camp one day... and my co-worker said "I need to find this song I heard earlier, it was incredible and unique." We searched, and found "Wake Me Up." Upon hearing the song, my life was altered. This was the type of music I would come to love listening to. The kind that would move me. The kind that made me want to produce. I am so grateful for Tim's creations and his heart. You are forever missed, and I have gotten a tattoo in your honor. Been a while since you passed away bro. Still listen to your music everyday. Helps me a lot. Stay strong in heaven. My first year of high school was hell, I didn't have any friends nor did I have good grades. Every day when I was going home by bike, I was listening to the albums, True and True: Avicii By Avicii. His songs are what kept me going and they still do. I will always remember him as my savoir. Truly a musical genius. Your music has inspired me to actually start producing and has heavily influenced my style. Though I'm not there yet and I'm still learning, this is the happiest I've been in years. I'm finally doing what I love. I'm just deeply saddened that I will never get to meet and work with you. Just say a prayer for me while you're up there. Much love from Hazey Wiz and South Africa. Dear Avicii, The first time I heard Levels, I felt completely uplifted. Thank you for creating the most original tunes and bringing empowerment through music to our lives. You are irreplaceable. Rest in Peace, Dj! Forever in the memory of the music world, a genius!! The time you first dropped levels at tomorrowland one of the best days of our lives ! RIP Tim we love you! Rest in peace. Sweden are proud of your sucess. Im sorry the world failed you. You will always my favorite DJ Avicii. I hope you rest well. Has sido mi mayor inspiración y nunca podré conocerte en persona... Descansa en paz, te lo mereces. Fly high tim...I'm still lost for words watching your videos and looking at your face, your smile, your eyes and your beautiful moles that made your face so unique. I'm addicted to them... Your melodies still help me to go on and not giving up when life throws another stone in my way and my inner voice wants to tell me to give up. I'll try my best,I promise. Thanks for everything and creating a fan-community that feels like home for so many of us! Feel loved wherever you are now! Forever missed.